If you are reading this right now, stop. Stand up and do 10 jumping jacks. Now, if you could watch everyone doing jumping jacks, you would notice that no two people move exactly the same way. Our bodies move a bit differently. None are alike...just like fingerprints. Our bodies' metabolic, muscular and neurological systems are different on different days, too, depending on sleep, hydration, changes in nutrition, delayed onset soreness, etc. This is the reason we opened our studio, and developed our methodology: Bespoke Fitness. Everything we do here is customized for your body, on any given day, at any given time. 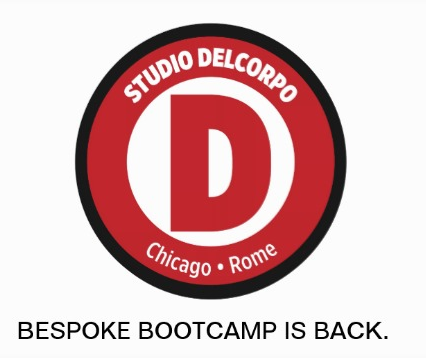 We have successfully operated out of our studio space on Armitage for about a year and a half, doing private, one on one, personal training. The time has come to address the needs of athletes, many of whom prefer the small group format...mostly for the camaraderie that comes with it. So I'm pleased to report: We're relaunching Bespoke Bootcamp, a small group training program designed especially for athletes. These bootcamps will provide personalized training within a small group setting--with the emphasis on SMALL-- fitted to your likes and dislikes, strengths and imbalances. We are limiting each session to 6 people; 8 classes, 1x per week for 8 weeks. You will not get a random WORKOUT of the DAY; you will get a customized workout tailored to your sport, your goals. You will become empowered, learn about your ongoing needs and daily physical requirements, enjoy new levels of success and...have loads of fun.